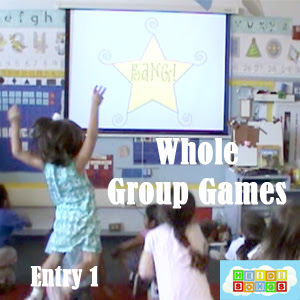 In this post, I will share with you two of my very favorite whole group games to play with Kindergartners and Pre-Kindergartners: The Quiet Game and Whole Group Bang! Both of these are "staples" in my classroom, and absolutely get used every single year! In fact, I used the Quiet Game nearly every single DAY to keep my class busy if I had to stop teaching to talk to another adult for some reason, or help a child individually with something. So I hope you find these games as useful as I do! I started "collecting" and writing down all of these games for a presentation that I give called "Whole Group Games and Activities for Math and Language Arts." And I can tell you that it was a LOT of work! After all of that work, it’s a shame to share them with only the few people that are fortunate enough to get a day off to go to a conference. (And if you get a PAID day off to go to a conference that your district paid for- well, you are VERY lucky!) Anyway, I think I’ll post a few games every week or so this summer, so if you are interested in hearing about them, you might want to sign up for the emailed updates to make sure that you don’t miss any. I’m going to start with the silliest, “stupidest” game ever. But I use it nearly every day; no teacher should be without it! 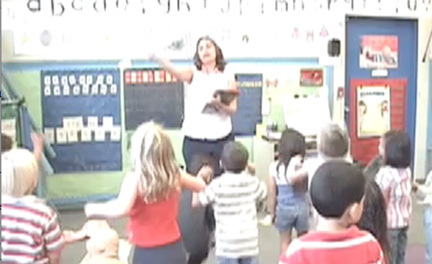 When I first started teaching Kindergarten, I taught the afternoon class, and I had moved into a room with a very experienced, expert teacher that new teachers tend to find somewhat intimidating! Luckily, she took me under her wing, and taught me all of the things I should have learned in my student teaching experience, but didn’t. Anyway, when the AM teacher, Mrs. Kinne, taught me this game, I thought she was crazy. What child would ever find this entertaining? Who in the world would think of such a thing? The Quiet Game- a game no early childhood teacher should ever be without! LOL! 2. A DISTRACTION that pulls you away from teaching your class for a minute or two- like a child wetting his pants, or a parent that MUST talk to you right away, in private! -Choose one child to be the "starter." This child gets to sit in your teacher chair and chooses the quietest person in the room. -The person that gets chosen by the starter gets to be the next leader. He gets to sit in the teacher chair and picks the next quietest person to sit in the teacher chair. -Boys must pick girls, and girls must pick boys. No "pick backs" allowed! -No “stalling” allowed; (you can’t just sit there and pick no one, or the teacher will choose for you. If I notice kids stalling, I call out, “Okay, I’m going to count to three, and then I will pick for you!” That always does it. They pick someone immediately! When you are done managing your DISTRACTION: have the person in the chair choose someone to start the game next time. Don't let the person in the chair be the starter next time, or kids may sit and "stall," refusing to choose someone- usually because they hope to be the starter next time! -Keep track of who gets to be the next “starter” on a small white board and pin it to a wall or bulletin board nearby your teacher chair. If you can find a small one that has a place to attach a little dry erase marker with an eraser on the end of it, then it will be really quick and easy to write it down each time. -If my “starter” is absent or busy with something, then I usually have my helper of the day start the game. Here’s another great game. We play this one a LOT- especially at the beginning of the school year with our Zoo-Phonics cards! 1. 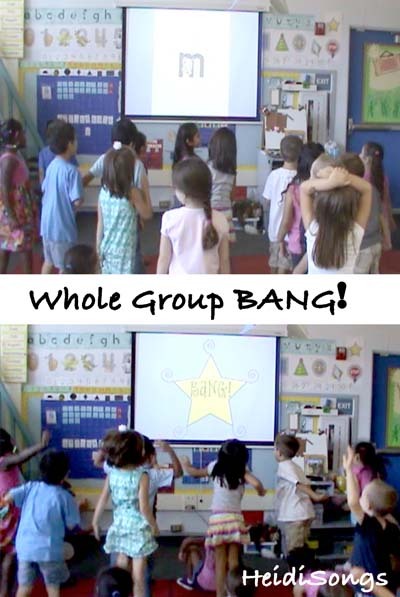 Flash cards for any concept, some with the word, "Bang!" on them. Or, put your flash cards on Power Point as shown above. 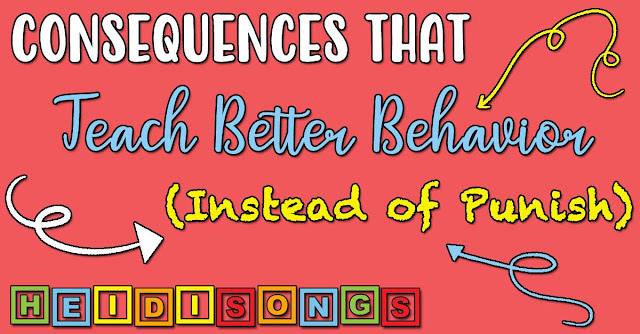 Every so often, though, you'll have to scramble up your slides so that the children don't memorize where the Bang cards are "hidden." 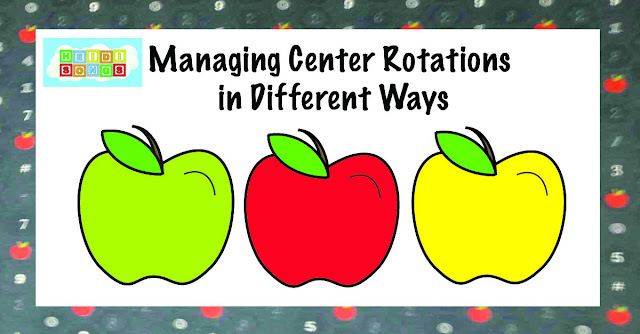 -Drill the kids on the flash cards. When the word , "Bang!" comes up, they sit down. The next time it comes up, they stand up, etc. Change the motion to something else, such as spin around, growl like a tiger, or snap like a crocodile. Change the word bang to "Kablooie!" and have the kids explode and fall down. This is "the old fashioned way" to play Whole Group Bang- with actual cards in your hand, rather than with Power Point! You just have to make sure that the children can't see the card that is coming next in your hands. I just finished enlarging a whole set of Active Response Cards that I'll post right here as a FREE download! They include the “Bang!” card, the “Kablooie!” card, and the other ones as well. Plus, there are about 40 more other large action cards to use as well. I was thinking that this year, I might just pick a few of the cards at random and put them in with some sight word cards that we need to work on and drill the group. That way, the actions would come up as a surprise each time (or nearly each time, depending on how often I change them!). I think that would be a good way to keep the kids actively involved! 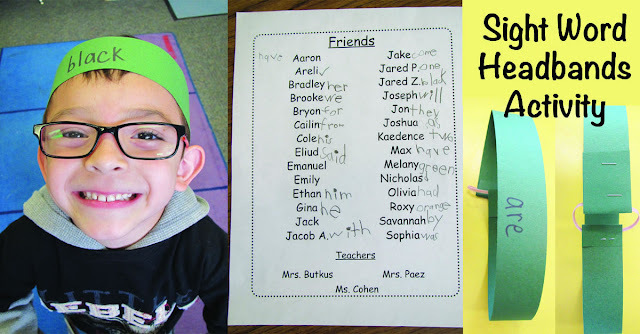 I have included in the download a blank card at the end of the stack so that you can print whatever sight words you want on it and duplicate it lots of times. Anyway, for now the download is free, but it may not be forever, so if you are interested in having it, make sure you grab it now, then pop on over to the free downloads page on my website and see some other fun ideas to experiment with as well. And keep checking back for more Group Game ideas coming here soon! I can't wait to try the quiet game. Thanks for the action cards -- they're great! Thanks for the games! With 24 littles the "quiet game" will definitely be useful! One "game" I play with them while we're waiting in line is "The Turtle Game". We count to three and then see who can sound like a turtle the longest! :) Since turtles generally don't make noise the kids don't make noise either! Surprisingly the LOVE this game and request to play it! I teach my kinders to be "rocks" - thus they have to curl up in a ball, remain still and quiet! It is very useful when I have an interruption that I have to attend to, but the school is also in a high crime area and we go into lockdown a few times a year. At that point I turn off the lights, lock all the doors, take the children into the cubby area and tell them to be rocks - hopefully this fools whoever is roaming the halls/outside our windows that the classroom is empty. The children are smaller targets and they're not scared during lockdown because we've "played" at being rocks before!